For decades, access control systems were considered a security tool that let authorized personnel enter a building or area. While many people still think of access control in these terms, advanced access control systems boast a variety of tools and benefits that are often overlooked. Beyond traditional security, access control systems can help any organization increase operational efficiencies and reduce costs by enabling integration with a large variety of workforce products and solutions. Workforce Access integrates seamlessly with Kronos products for one centralized workforce management solution. It is designed to leverage your existing employee demographic data to reduce manual entry steps and the chance for clerical errors. There is no need to change or reissue your existing employee ID badges for Workforce Access. The system is designed to let employees use the same badges for identification, time and attendance, access control, and other applications such as Quickcharge cashless payment solutions. Workforce Access allows for complete control over each person in the system. Not only can you define which doors an individual has access to, but layers of restrictions can be applied based on schedules, device conditions, and more! 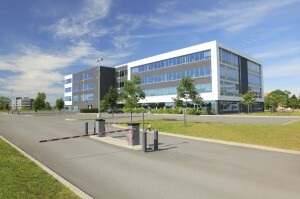 Because all parameters of the access control system are stored on a centrally managed database, they can be accessed from any computer – as long as it’s connected to the network. Additionally, the software is managed from a computer’s web browser, so there’s no need to install special software. Workforce Access can be used with more than just standard doors – turnstiles, barriers, parking gates, and motorized fences can also operate with the same hardware for maximum security. Workforce Access provides these benefits and more in a solution that is easy to implement, easy to maintain, and easy to use. No matter what your situation is, Workforce Access has the capabilities to suit your particular needs. From start to finish, our experienced and professional staff are empowered to offer you the support you need, whenever you need it! call at 1-800-348-5545 or contact us online. It’s always been cool to me that companies can use small cards to open doors, and was curious about if it had any benefits to the actual business. I really like that this type of system reduces manual entry steps, and for there to be errors. I know that I would feel safer in a building that had one of these systems. In your article, you wrote that parking gates and barriers can really contribute to making sure you have maximum security. I had heard in the past that it was wise for a business to take the necessary steps to ensure that their company was safe from unwanted guests. Having a gate is a nice way to make sure no one accidentally goes onto your businesses property. Being able to have that outdoor, first line of defense could prove to be very beneficial. Thanks for the advice. 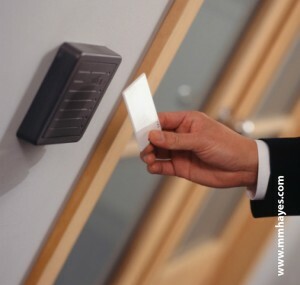 The benefits are good enough to install the door access control system in home or company. It is essential to install access controls in the company as it prevents the unauthorized access. There are a few office buildings around us that use access control systems, and I was curious about how they would benefit you. One thing that really stood out to me is that they are actually easier to manage each employee when they come in. It would be nice to see how many people are actually there and when they leave.